The operating costs of a Mountain Rescue Team are, as you can imagine, quite significant. Technical rescue hardware is extremely expensive, for example a mountain rescue stretcher alone costs well over €1,000, and a full set of replacement radios costs in the region of €18,000. Most of the equipment utilised by an MRT has a ‘shelf life’, and therefore needs to be regularly replaced on a rollover basis. Add to this the cost of vehicles and diesel etc. and it is easy to see how costs can mount.  In the case of Kerry MRT operating costs currently run at well over €50,000 per annum, which includes equipment, training, insurances and routine running expenses. The Team currently receives annual grant support from the Irish Coast Guard, Kerry County Council and Killarney Town Council, however this falls far short of annual running costs, and the balance must be met by the Team’s own fundraising efforts, which include church gate and flag day collections, collection boxes in public places, an annual Christmas disco and individual donations. All donations would be welcomed (and acknowledged if you desire), and we would be happy to discuss sponsorship arrangements and fundraising events with interested parties. If you are an individual hillwalker, a company representative, or perhaps the treasurer of a club with a small surplus of funds at the end of the year, please bear us in mind! If you intend to participate in a sponsored event of any kind to raise funds for the Team, we can e-mail a generic sponsorship form that can be adapted to suit your particular event. Please email us for details. If you are an Irish-based individual making a single donation of €250 or more (or a series of smaller donations totalling €250 or more in the tax year) its possible for KMRT to claim tax relief on your donation from the Revenue Commissioners. This applies to both self-assessed and PAYE taxpayers, and regardless of your own marginal rate this relief is claimed at a blended marginal rate of 31%. This means that your donation of €250 is worth €362.32 to KMRT, your donation of €690 is worth €1000.00 to KMRT etc.. This is all at no extra cost to yourself (apart from a few minutes of your time). If you’re likely to make further donations to KMRT in subsequent tax years you should complete CHY3 Cert (“Enduring Certificate”) which can remain valid for up to five tax years. If you’re unlikely to make further donations to KMRT after this tax year you should complete CHY4 Cert (“Annual Certificate”) which is valid for the current tax year only. Mick Long, Treasurer, Kerry Mountain Rescue Association, New Road, Killarney, Co. Kerry. As an alternative to online donation you can post a cheque to our treasurer at the address shown above, or if you prefer you can lodge money directly into the Team bank account (details below). If you would like your donation to be acknowledged, please be sure to include your name and address with your donation. c/o Permanent TSB, New Street, Killarney, Co. Kerry. Ireland.